We all know that Martin is a guitar manufacturer that focuses on high-end & expensive guitars. 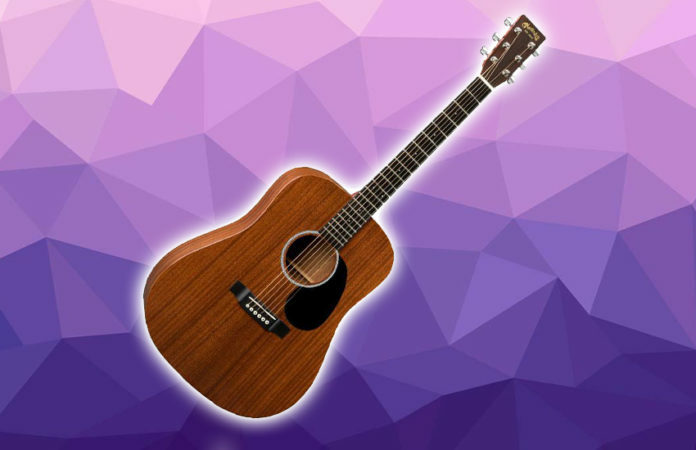 However, if you research a lot and dive into their huge selection of acoustic guitars, you can find some hidden gems that come at a lower price. One of these gems is the Martin DRS1. Martin’s Road Series guitars were released back in 2001, when they tried to make Martin guitars easier to get by the average guitar players. They did that by lowering their prices and changing some of the components of the guitars. 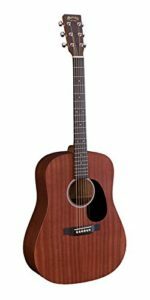 The Martin DSR1 has a Solid Sapele Top, back and sides. I was surprised to hear that because not many guitar manufacturers use the same material for both the top, the back & the sides, however, they managed to do it perfectly. It has a 20 fret fingerboard with white dot markers to make playing easier. The neck itself is made of hardwood, and that makes sliding your hand up and down a piece of cake. The guitar itself is pretty durable, so if you like to play gigs or you want to take your guitar with you wherever you go, this guitar will be able to handle that. Even though it’s a full-sized guitar, you won’t run into any problems with it. The DRS1 comes with a hard-shell case included. The case itself is pretty good looking and sturdy enough to protect the guitar from any unwanted damage. This is included in the price, so it’s a pretty good thing. You must have a case for any guitar you own because guitars can get damaged easily, especially if they are made of weaker materials. Moving on, let’s focus on the hardware of the DRS1. Just like the most popular acoustic guitars, this model uses a basic Fishman Pickup. It has a set of chrome die-cast tuners on the headstock, which I personally loved. They were pretty durable and easy to adjust. The playability of this guitar is another thing which is worth mentioning. Because of the price, I would say that it’s not a suitable guitar for beginners. However, If you have the money, it’s one of the best guitars to learn on, since the playability is very good and it’s pretty easy to hold it on your hands. Enough technical talking. Let’s see how this guitar actually sounds. 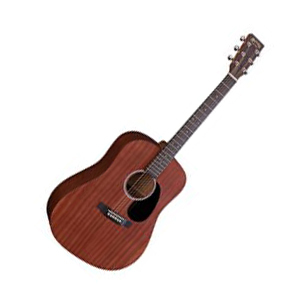 Just like almost all acoustic guitars by Martin, the Martin DRS1 has a very rich and full sound. The thing that made me love this guitar from the first time I played it was that it was noticeably louder compared to some of the other models in this price range. That alone made me love the guitar even more than before, so I will have to give it a 9/10 rating when it comes to the sound. To conclude, I would say that this guitar is a top-notch option for beginners, intermediate players and professionals. If you want to get a high-end guitar without having to go bankrupt, then the DRS1 will be a great option for you. If you want to seriously learn to play the guitar and turn it into a profession, but you haven’t played a guitar before in your life, the DRS1 can be a great accompanier in your journey to becoming a professional guitar player.